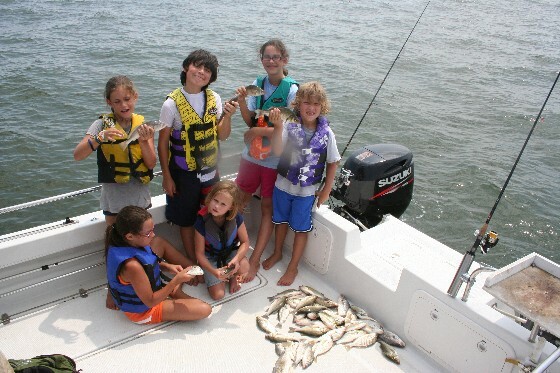 Want to try fishing from a boat but not sure where to start? This handy guide takes you through how to fish step by step, with some handy tips to boot. If you’re away for a long weekend cruising or sailing, why not put a rod over the side once you have anchored up for the night, or even just for a few hours to break up your journey? 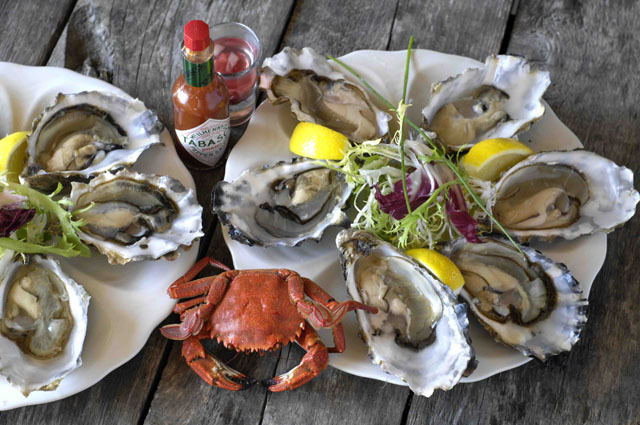 You’ll be surprised at what you can catch, and most of it is edible, too, so you could even catch yourself a fresh dinner in the process! 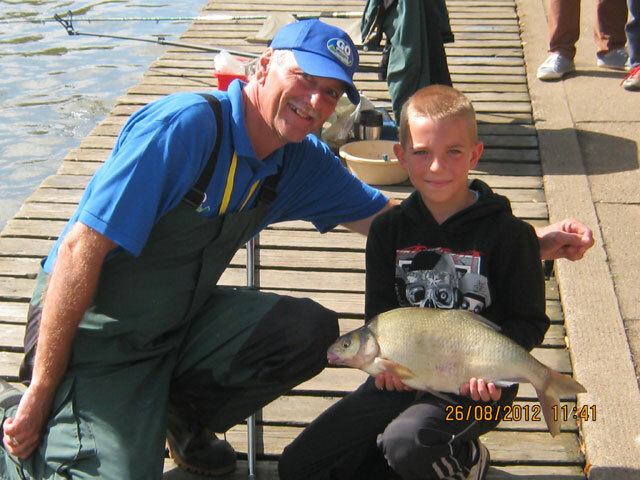 Fishing can be very relaxing, as well as rewarding – especially if you catch your own tea! The easiest fishing is done at anchor, and this may well tie in with a safe anchorage that you might be using. These areas tend to be relatively shallow, clean ground and not too snaggy, which is perfect for a spot of fishing. There are loads of other types of fishing ground and marks, which I may cover in future writings, but for now we’ll just concentrate on a clean, sand or muddy sea bed. 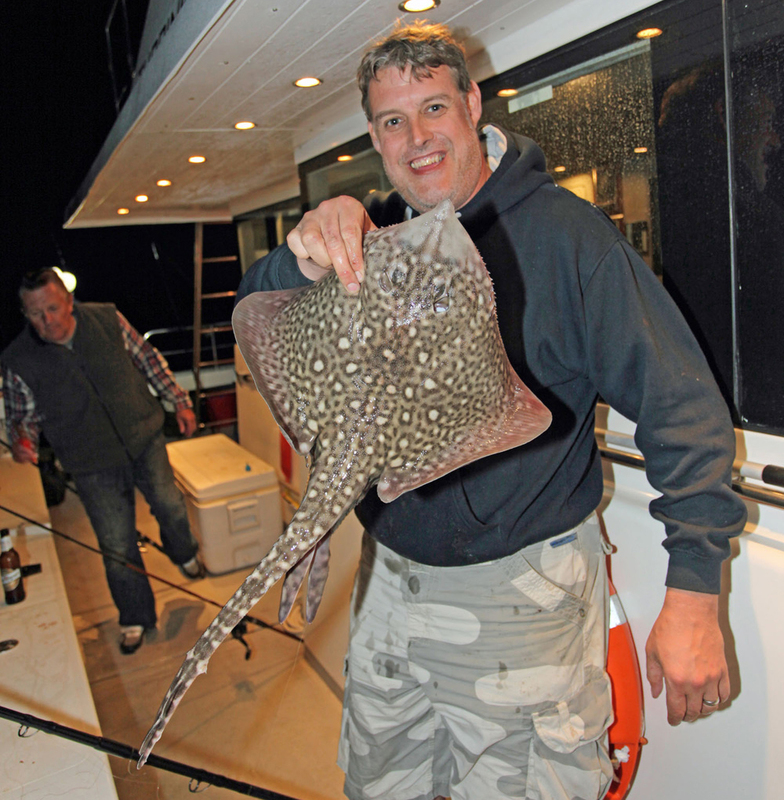 Fish still feed well at night, some better than during the day, like this thornback ray. 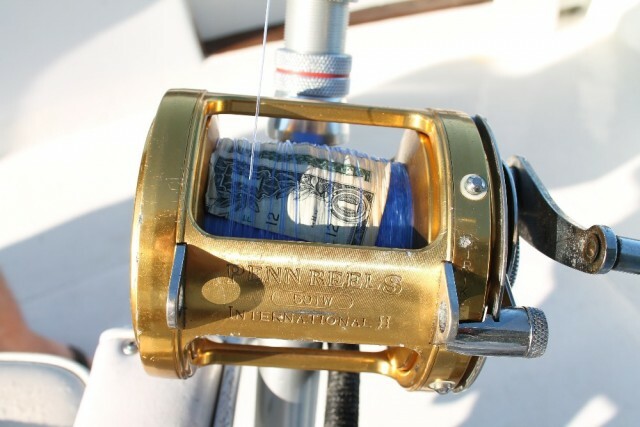 A 12/20lb boat rod and suitable multiplier reel is a great starting point. If you are new to the sport, or you simply want to catch a few mackerel for your tea, I suggest purchasing a cheap 12/20lb class boat rod and suitable reel, which you can load with 20lb line. If you fancy having a bit more fun and maybe targeting a bass or pollack, then a medium/heavy lure rod and fixed spool reel loaded with 20lb braided mainline is a good option. Generally speaking a multiplier reel is the best selection for any downtiding using leads of over 8oz. It’s all a matter of power where the combined pressure from the tide and a large fish can render a fixed spool reel all but useless. Again this does not apply so much if you are after smaller species using lighter weights, when you will be able to get away with a fixed spool reel and a lighter rod. Keep rigs simple. Thread a link swivel and bead onto your mainline (left) and then tie on a swivel to connect you trace line. In most cases while fishing downtide you need to get the bait down to the bottom and keep it there so the fish can locate it by scent. I like to use as little weight as possible when searching out species. It allows me to bounce my bait back in the tide, well away from the boat. As a general rule, downtide fishing requires you to have a good selection of leads from as little as 1oz up to 1lb+. 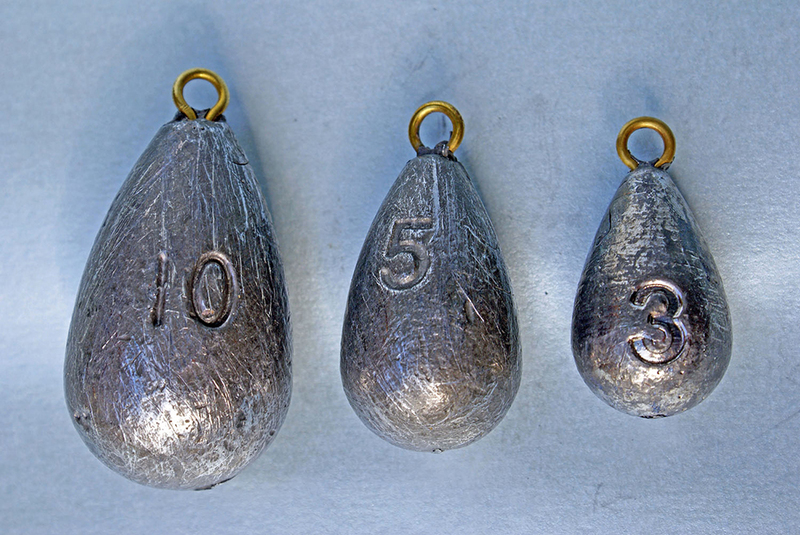 You will need a selection of lead weights. When it comes to rigs for downtiding I find that keeping it very simple often pays dividends. A simple running leger rig with one or two hooks is really all you ever need to use. 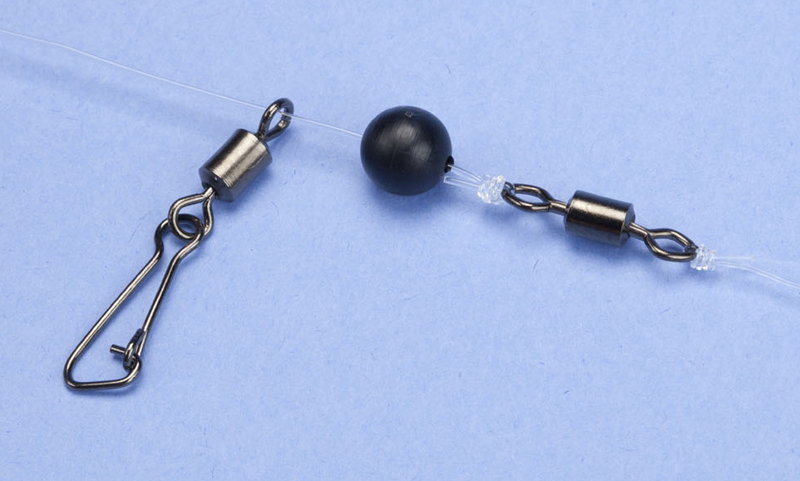 All you do is thread a small link swivel onto your main line, which will carry the lead weight. Then thread on a bead to protect your knot, and tie on a small swivel (this helps prevent your line from tangling). Then, tie your rig to the other end of the swivel. A length of three to four feet of 20lb clear line with a single size 1/0 or 2/0 hook is probably the most effective rig to cover the most species. It really doesn’t get much more relaxing than downtide fishing. 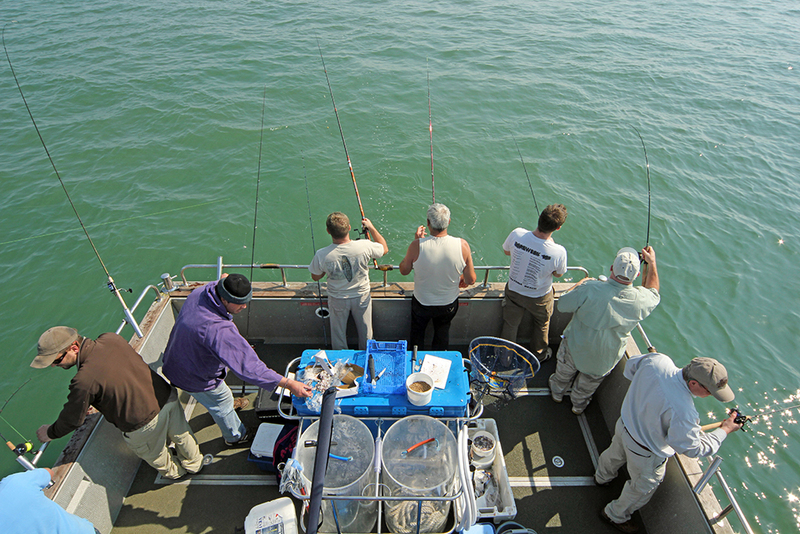 Once you have anchored up, simply drop your baited rig over the side and send it down to the sea bed. Once it’s there, lift the rod and let your lead hit the bottom once more, then slacken off the drag on your reel so a big fish can take line if it needs too, put your rod in a rod holder or rest it up against a grab rail, then sit back – that’s it! 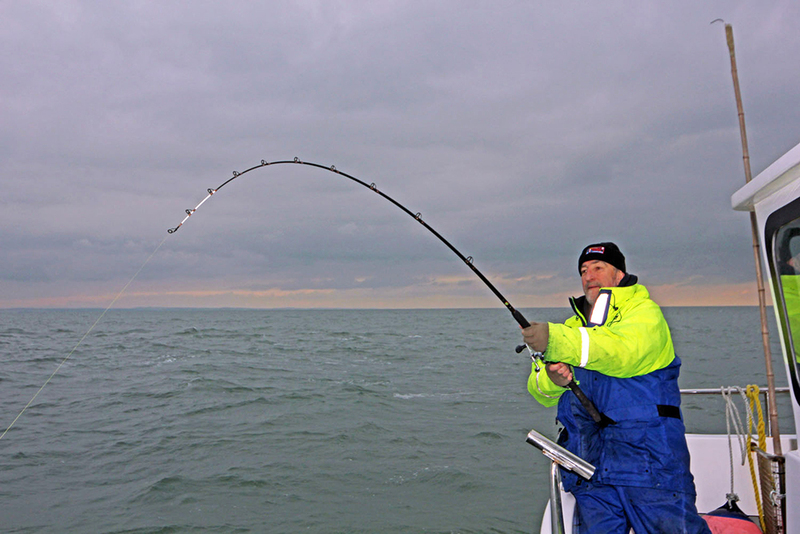 It’s worth checking that your lead and rig are still holding fast on the sea bed every now and then by lifting the rod tip and lowering it back down, feeling for the ‘thud’ as the lead hits bottom. If your lead isn’t holding, then simply let off a little more line until it does. If you’re still having problems, then you may need to add more lead. 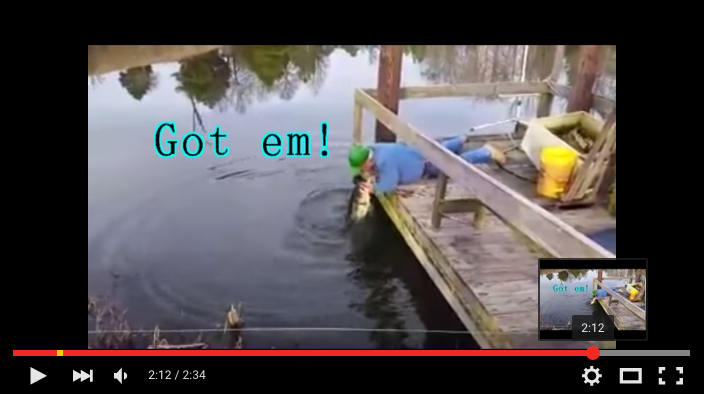 Trial and error will soon have you fishing like a pro. 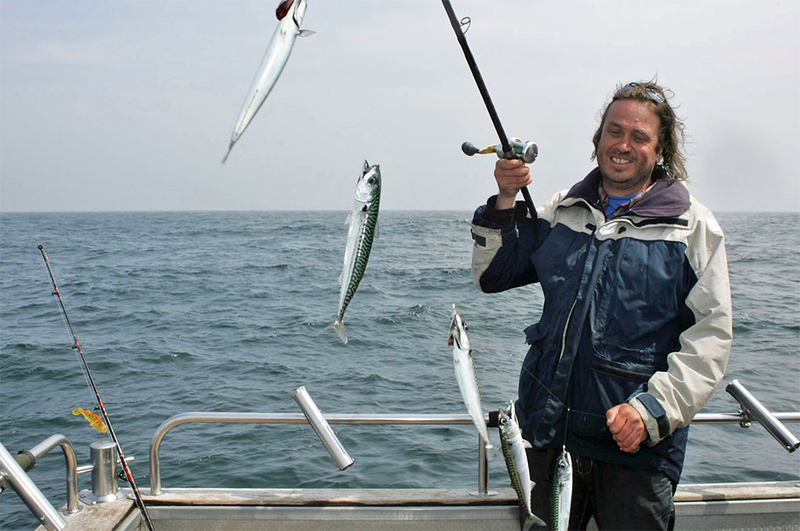 When the mackerel are feeding, you can catch them five at a time on mackerel feathers! If you just want to try your luck for mackerel, then all you require are a few sets of ‘mackerel feathers’ and some lead weights. Tie the feathers to your main line and add a weight at the bottom to help send them down. It is possible to catch mackerel in depths as shallow as 15ft, and the best method of attack is to drop your feather rig down to the sea bed, then lift the rod up and down, each time making a turn on the reel to help bring the feathers back up to the surface. What you’re trying to do is work the water column to find what depth the mackerel are feeding at. Once you find them, you should be able to catch them five at a time. If there’s not much going on, then drop your rig over the side and simply let it hang mid-water – this tactic can also pay dividends. 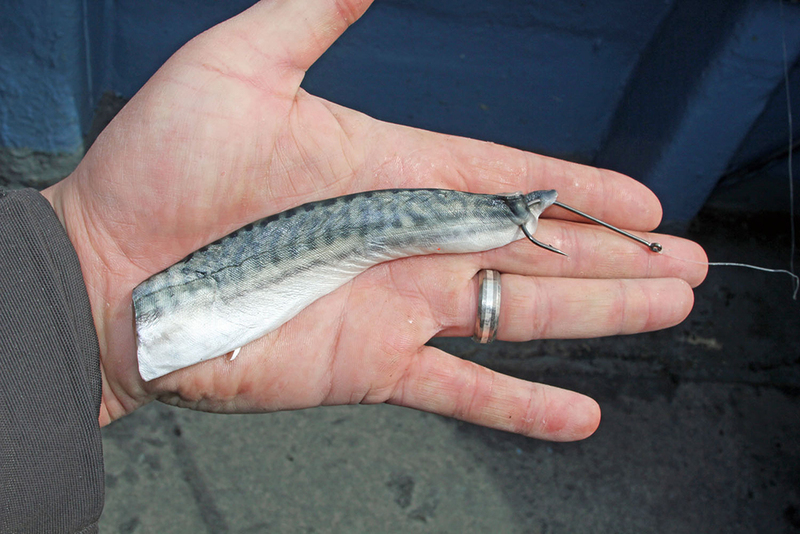 A simple strip of mackerel or squid like this is all you need to catch most species. If you’re feeling more adventurous and want to try to catch something larger than a mackerel, then you will need some bait. The best all-round option is a box of frozen squid, or some frozen mackerel – you can even use fresh mackerel if you happen to catch any. Cutting thin strips or mackerel or squid will give you perfect baits for targeting rays, cod, dogfish, black bream, bass, gurnards, turbot, plaice and a whole host of other tasty fish. 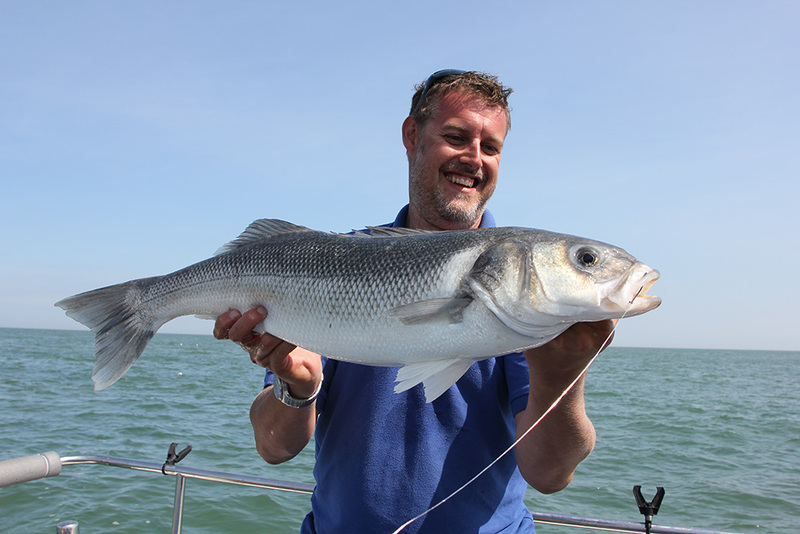 Read more about the types of fish you can catch in our guide to fish in the UK. 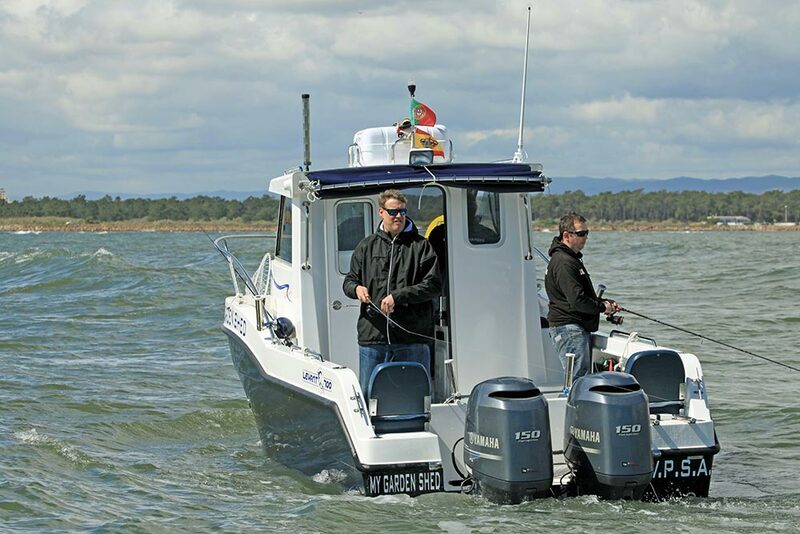 Want to get a boat specifically for fishing? 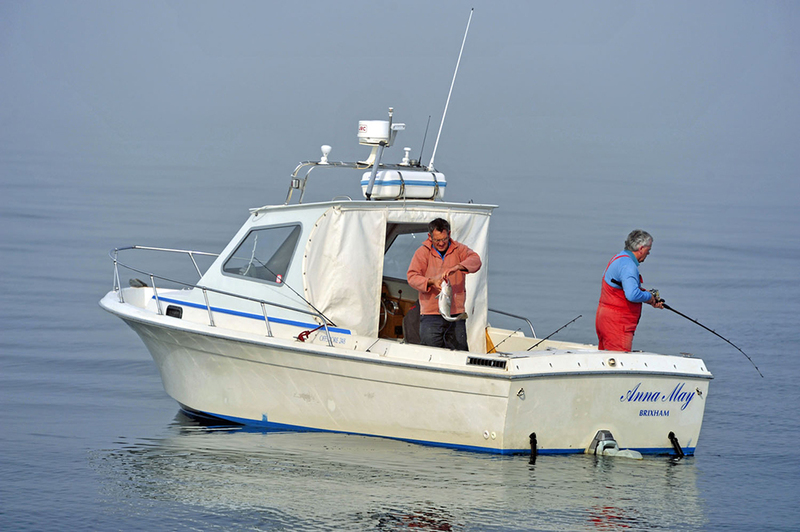 Read Fishing boats: a buyer’s guide.